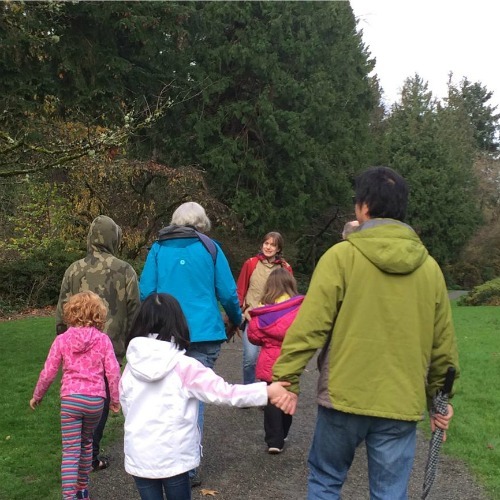 Saturday, Feb 23, 2019, 1:30 – 3 p.m.
Did you know that there is something amazing to see and explore in the Washington Park Arboretum all year round? Get outside and play some winter nature games and activities with us while we take advantage of all the wonder winter has to offer! Bring the whole family for an hour and half themed walk. During this free public tour, we will stop along the way for games, hands-on activities and learning geared toward children (2-12 years old) and their caregivers. Tour groups gather in front of the Graham Visitors Center at 1:15pm to start our tour at 1:30pm, 2nd and 4th Saturdays February-June. Free Family Weekend Walks are provided to families on a first come first served basis; the first 30 people to check in with the instructor between 1:15-1:30pm the day of the walk will join us!